This season, there are more opportunities than ever to incorporate technology and premium products into your sales & business processes to give yourself an edge over the competition. 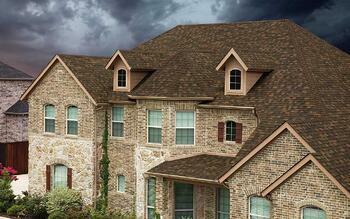 SBS Shingles were first introduced in southern and coastal markets many years ago as a class-4 impact-resistant solution to hail and harsh weather. In the last few years, their flexibility and granule retention characteristics have made them an attractive performance upgrade here in the Midwest for homeowners that don't want to put on another roof. Atlas and GAF have had SBS shingles available in our market for years; CertainTeed introduced NorthGate two years ago and Owens Corning has introduced Duration Flex this Spring. Wimsatt stocks them all and we are happy to provide samples, literature, and education to demonstrate the advantages of SBS shingles to your clients. In our industry, good labor is in short supply. 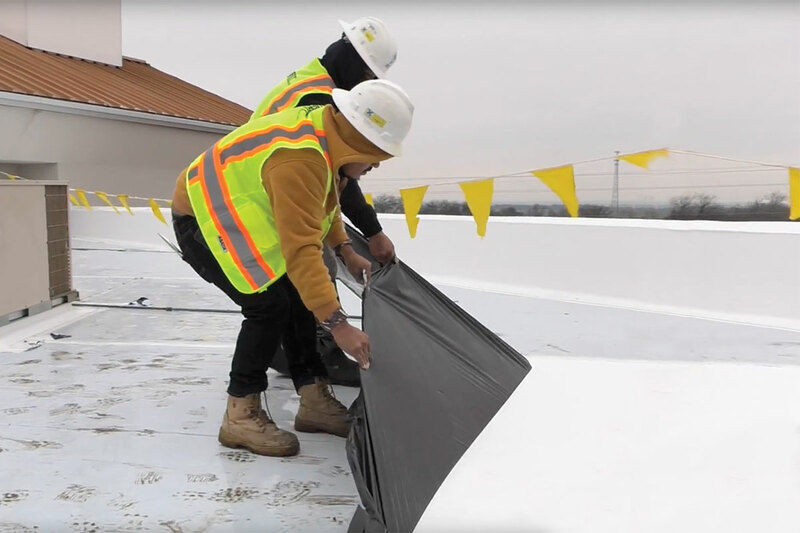 Versico Roofing Systems has demonstrated a steady commitment to developing innovative labor-saving technologies that will save low slope roofing contractors time and money on the job. CAV-Grip adhesive primer a quick application with a spray gun that can save up to 60% labor time compared to traditional bonding adhesive. The RapidLock roofing system is an adhesiveless attachment system using Velcro brand securable solutions with no temperature restrictions, no VOCs, no odors, and - best of all - an incredible 80% labor savings (compared to traditional bonding adhesive) for fully attached EPDM and TPO membranes. Finally, Versico's APEEL technology covers TPO with a protective film that is removed upon job completion to reveal a clean and aesthetically pleasing finished product without the need for pressure-washing the roof. Builders and remodelers alike can give clients incredible curb appeal with premium offerings from James Hardie, Andersen Windows, and Trex. The full line of Andersen Windows is available at Wimsatt. At the entry level, we have the Andersen 100 Series, featuring Fibrex material and available dark colors that make it the smart alternative to vinyl. The Andersen 200 and 400 Series vinyl-clad wood window lines feature their signature classic wood craftsmanship and several options in exterior colors, interior wood species, and hardware finishes. And finally, the Andersen Architectural Collection has near limitless possibilities in aluminum-clad wood for the ultimate in design flexibility for today's premium homes. 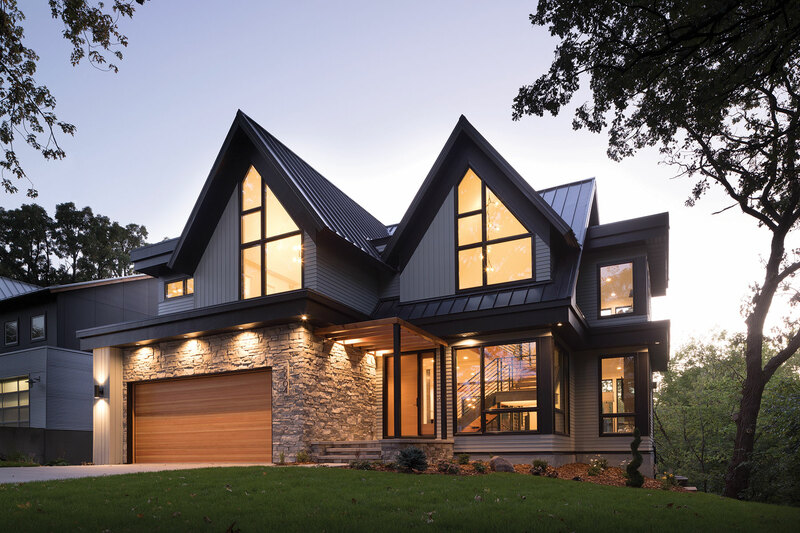 James Hardie's Statement Collection is a new, focused 15-color palette of pre-finished fiber cement siding which has been curated specifically for the Midwest. It features several on-trend dark and gray colors designed to appeal to today's home buyer, and the entire palette is in stock at Wimsatt. Contractors and homeowners alike appreciate the premium look and feel of fiber cement, coupled with the consistent color and superior quality of James Hardie's factory finish and 15 year limited paint warranty. Naturally, as the weather improves, homeowners want to spend more time outside! Help your clients enhance their outdoor living space with the premier brand of premium composite decking, Trex. 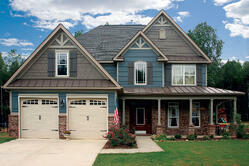 Trex Transcend decking is available in ten colors to compliment home exteriors. Railing can be designed to match or contrast your deck with options in composite and aluminum construction. 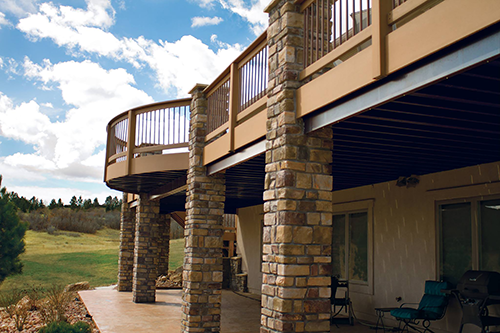 Illuminate your next deck for elegant outdoor experiences with Trex Deck Lighting, and create premium under-deck living spaces with the incredible spans of Elevations steel deck framing and RainEscapes under-deck rain carrying systems. Wimsatt has it all in stock and on display to help you envision and craft your next outdoor masterpiece! 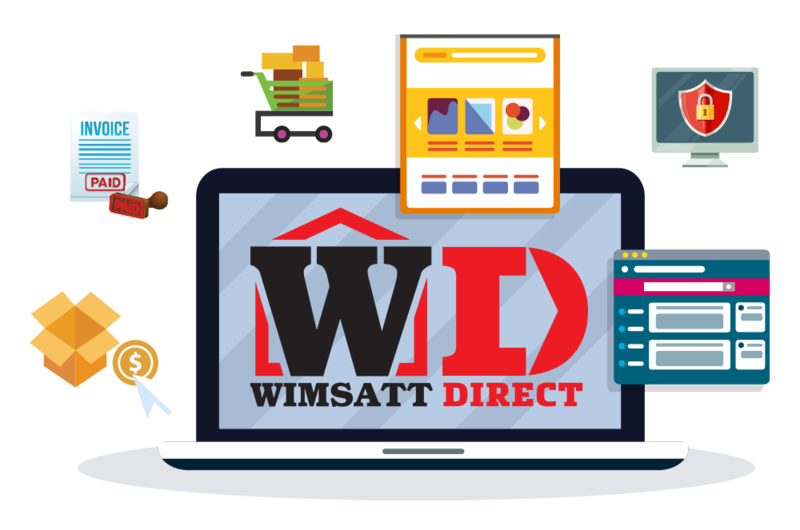 All Wimsatt credit accounts can sign up for our new customer portal, WimsattDirect. This suite of online tools gives you everything you need to manage your account - anytime, anywhere! Lookup products and pricing, place material orders, download invoices, create custom literature with your logo, manage multiple users and more, all on our mobile-friendly customer portal. 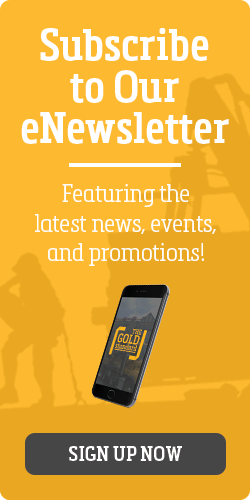 See your Territory Manager for details on how to sign up! Here's another great reason to try WimsattDirect: you could win a 12.9” iPad Pro! 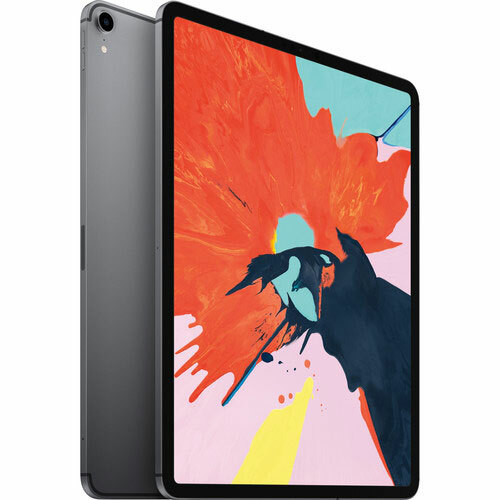 Every $2,000+ order you place through WimsattDirect from 3/1/19 – 4/30/19 which ships by the end of April will enter you into a drawing to win a 64GB WiFi 12.9” iPad Pro! Must place a minimum of 5 qualifying orders to enter the drawing. The winner will be announced in May. As you can see, this year brings several great opportunities to leverage technology and premium products to get ahead this season. 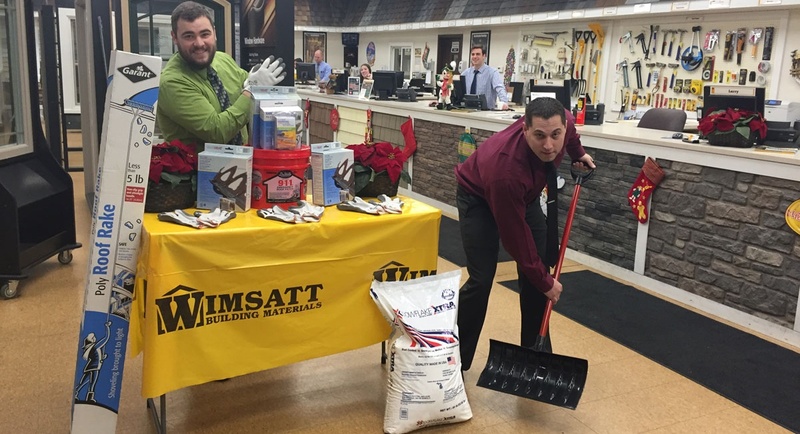 We're here to help you take advantage - stop by your local Wimsatt showroom or contact your salesperson to see how we can help you implement these offerings today!